In this lesson, I am going to introduce another function of Japanese particle de (で). 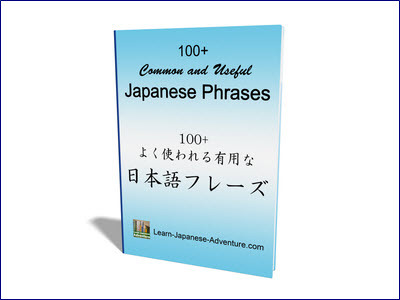 You know that most Japanese particles have multiple functions. Depending on situations, the same particle can represent different meanings in a sentence. To recall what you have learned in the previous lessons about the particle de (で), check out basic lesson 16 and intermediate lesson 18. 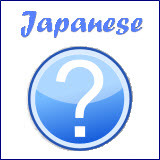 Japanese particle de (で) sometimes indicates a cause or a reason. But there's a regulation that you need to take note of. As you can see, these events are mostly natural phenomena, disasters, happenings, events, etc. 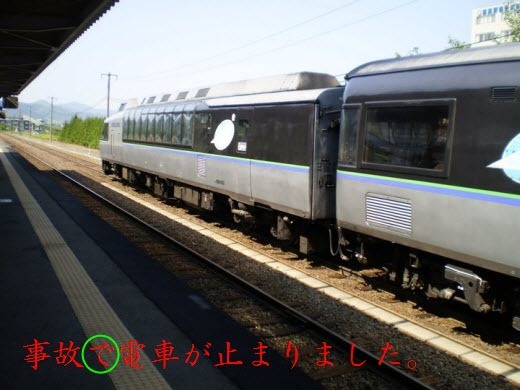 Meaning: The train was stopped due to accident. Meaning: The house was destroyed due to typhoon. Meaning: The tree fell down due to heavy rain. Meaning: The roof of the house collapsed due to earthquake. Meaning: I got injured due to fire. Meaning: I couldn't go to the office due to illness. → Due to a cause/reason, an uncontrollable event happened. Based on the regulation, only example 3 is correct because the other two examples show the speaker's volitional actions in the Result sentences. In example 1, you are thinking of being absent from school. You have a choice of going or not going to school. But you are thinking of not going to school because of your illness. This is a volitional action and thus failed to meet the regulation. In example 2, you want to be absent from school. It's your desire since たい-form is being used. As this's also a volitional action, it failed to meet the regulation. For example 3, the Result sentence 学校を休みました (gakkou wo yasumimashita) can be a volitional action by itself. However, because it's used together with the particle de (で) in the sentence, it's no more a volitional action. You couldn't go to school due to your illness and you have no choice but to stay at home. For example 2 and 3, you have to use から (kara) or ので (node) to make the sentences correct. Meaning: I am sick, therefore I am thinking of not going to school. Meaning: I am sick, therefore I want to be absent from school. an uncontrollable event or result. an action which you are obliged to do. Volitional actions like つもりです (tsumori desu), intention or desire cannot be used here. Let's do some practice to check if you understand when to use Japanese particle de (で) as a cause/reason correctly. Connect the two sentences in the following examples. The first sentence is the reason and the second sentence is the result. Use the particle de (で) if you think it can be used. Use から (kara) if you think otherwise. Meaning: Next week my summer vacation begins, therefore I am going to Japan to have fun. Going to Japan for vacation is not an obligation. You can choose to go or not to go. So it's a controllable event. Therefore you cannot use particle de (で). Instead you have to use から (kara) here. Meaning: I cannot go outside due to typhoon. This is an uncontrollable event. You have no choice but to stay at home because of the typhoon. 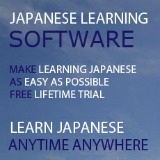 Therefore you can use particle de (で) here. Meaning: I am sick, therefore I am thinking of being absent from school. 休もうと思います (yasumou to omoimasu) is the same as 休むつもりです (yasumi tsumori desu). Both are your intentions. You can decide if you are going to school or being absent from school. So it's a controllable event. Therefore you have to use から (kara) here. Meaning: I went to the hospital due to sickness. You went to the hospital due your sickness which was an uncontrollable event. You have no choice. Therefore you can use particle de (で) here. Meaning: The weather is good, therefore I am going for a walk. You can decide to go for a walk or do other things that you like. So it's a controllable event. Therefore you have to use から (kara) here. How well have you done? Have you got all your answers right?